Over 90 people have now died in Sri Lanka in what has been described as some of the worst flooding in 25 years. Sri Lanka’s Disaster Management Centre (DMC) reported earlier today that the death toll now stands at 92, with 30 people injured and 109 still missing. The number of dead rose after military search teams found a further 23 bodies in Aranayaka, where a massive landslide struck in the early hours of Wednesday, 18 May 2016. At least 39 people have died in the landslide, and 105 remain missing reports Floodlist. 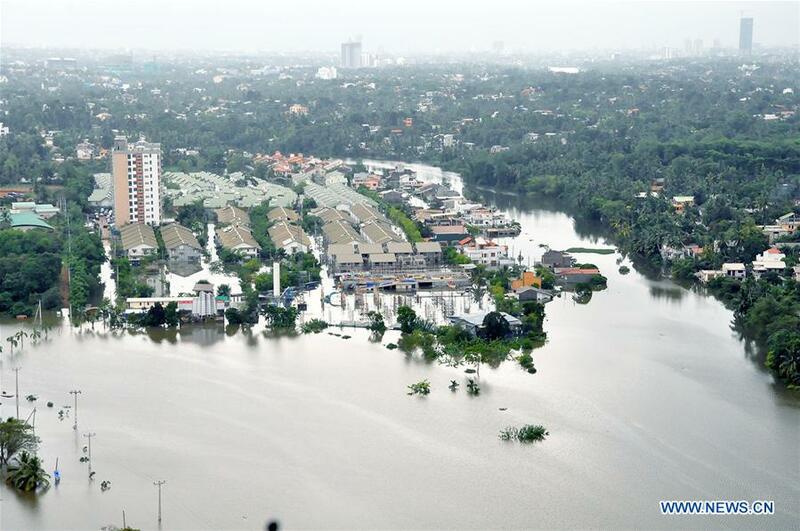 Sri Lanka’s Finance Minister Ravi Karunanayake said that the cost of the floods will be between $1.5 billion and $2 billion at the minimum. Over 500 houses have been completely destroyed and a further 4,005 damaged. Nearly 400,000 people were displaced at the height of the storm Aranayaka Landslide Sri Lanka officials say that 39 bodies have been recovered from the landslide site in Aranayaka, Kegalle District, that buried 3 villages of Siripura, Pallebage and Elagipitya in the early hours of Wednesday, 18 May 2016. Over 3,500 people are staying in relief camps and temporary accommodation in the area. After further landslides on 21 May, the Sri Lanka Red Cross announced that they had to relocate a displacement camp housing victims of the Aranayaka slide. Via Social Media, they said: “Fresh landslides were reported from the mountain known as Ambalakanda in the same mountain range of the previous landslide. ” Despite levels of the Kelani River being lower than the major floods of 1989, over 125,000 more people have been affected by flooding this time around.